Last year, in the midst of seeking a call and a considerable amount of personal turmoil, there were some parts of my life that I just dropped. I stopped listening to podcasts. I didn’t knit because the stress of life caused my RA to flare, and I just didn’t have the shoulder or the wrist for it. I think it was the first year in the past seven I didn’t give at least one person a knitted Christmas present. I didn’t read much because it was hard to focus. I’ve been keeping track of the books I read on my blog for several years now, and I had an informal goal of 60 books for 2010. I didn’t even come close. I stopped listening to podcasts, and that is provable by the way iTunes stopped getting new ones for me. I lost track of Fresh Air, and This American Life and the NPR Religion podcast. I didn’t have the detachment to laugh at Wait, Wait Don’t Tell Me. This meant I didn’t know much about what was going on in the world, since I relied on Fresh Air to tell me about the movies I don’t go to see and Wait, Wait to point to any news stories I might have missed. And This American Life? I turn to it for the comfort of knowing I’m less messed up than most people, and that didn’t seem very honest. A little at a time, those things are coming back. I’ve been knitting, and I’ve finished two projects in 2011! I’ve read 15 books, which while not on the pace for 60, is encouraging. The last holdout is podcast-listening, and I don’t know if it will ever come back all the way, because I listened a lot while I was walking with Sam. With Hoagie I listen to music, and our walks are too short to listen to much of a podcast anyway. But just today I thought, wow, I really miss Fresh Air. I wonder who Terri Gross talked to last week? 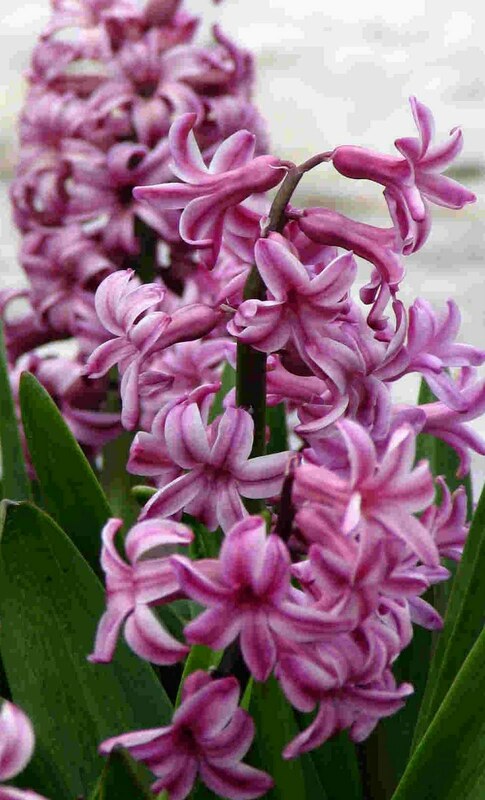 Like the hyacinths Hoagie stopped to sniff today — and he stops a lot, I need to tell you — these are signs of life. Nice to hear that things are getting back to normal. I'm so glad that you are finding signs of life surrounding you again! so, so lovely. Good news, indeed. Ooh! Download all of the BBC "History of the World in 100 Objects" podcasts. There's, well, 100 of them and they're wonderful. Each is about 15 minutes long. Perfect for folding a load of laundry or a taking short doggy walk. This is wonderful to read. Your springtime is budding. (((((Songbird))))) Indeed it is… life renewal. I'm glad your blessings are numerous and that you've resumed some of the things you love to do.